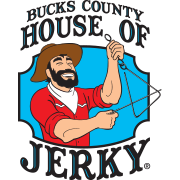 All natural beef jerky in many flavors from salty to sweet to spicy. Get adventurous with exotic jerkies: Camel, Python, Shark, Alligator and more! We offer vegan jerky and other snacks, too.